A excerpt from MJ-12: Shadows, on shelves next month! In addition, there’s a couple of reviews up on Goodreads — including one from the gloriously talented Beth Cato (preorder Call of Fire now, it’s really good and it’s out next week). I’m expecting some reviews to land soonish, probably after everyone gets back from WorldCon in Helsinki, which I didn’t get to go to this year, sadly. 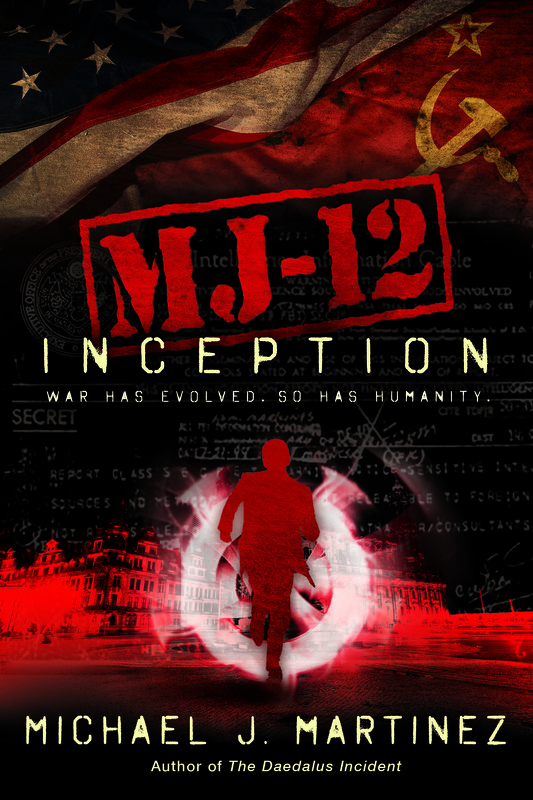 So far, I’m pleased with what I’m hearing from the people who’ve read it, and there’s a decent consensus going that it could very well be better than the first one, MJ-12: Inception. But hey, you should judge for yourself. 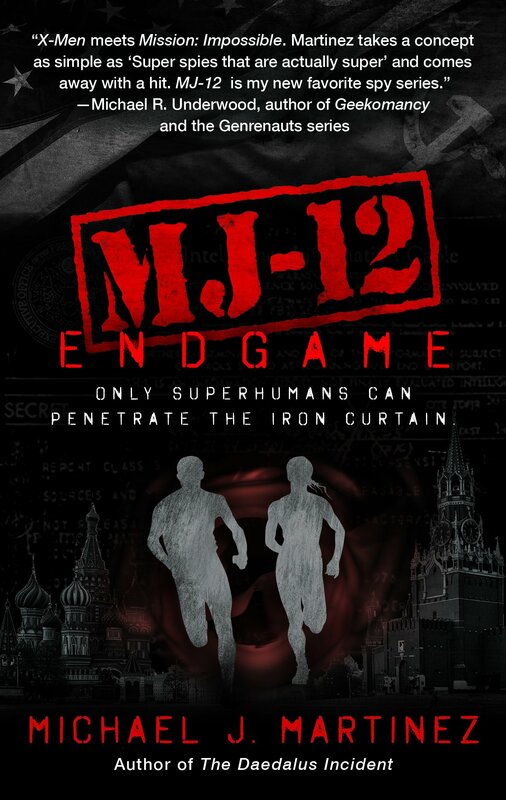 So here’s an excerpt of MJ-12: Shadows to whet your appetite. The choir at Vienna’s St. Stephen’s Cathedral sounded truly Heaven-sent. Voices of angels, raised in praise of God Almighty, and with a harmony that Calvin Hooks had never even thought possible, his time in the churches of Tennessee notwithstanding. He supposed they could use a little rhythm, if he was going to be picky about it, but almost immediately chided himself. He was sure God would be plenty pleased with such a hymn. The church itself had just reopened a couple weeks prior; fires set during the Soviet takeover of the city had severely damaged the ancient church’s roof. And with it being Christmas Eve, there was a fair amount of folks taking ref­uge against the chill outside. Even the hardest hearts, Cal knew, would find solace in a beautiful old church like this on Christmas. The case vibrated twice in acknowledgement. A few sec­onds later, a slight blond man wearing glasses brushed past him to follow. Cal watched him go briefly . . . until he real­ized that the couple across the aisle were staring at him in something akin to shock. He knew it had nothing to do with his whispering and everything to do with the fact that he was probably one of maybe a half dozen black people in all of Vienna. And it wasn’t like German folk—and Austria, Germany . . . they were kind of all the same to him—were exactly keen on Negroes. Cal sighed and put his eyes back on the target, the blond man, who had taken a seat one row behind the woman. He had to keep his eyes on the target. His ears, though, he’d save for that Christmas carol the choir was singing. Always good to keep a little bit of the Lord in mind, he thought. Danny Wallace reached down for the kneeler, then got on his knees and folded his hands in front of him, leaning his arms on the back of the pew in front of him. The woman was less than three feet away. She immediately flinched and shifted, and Danny knew then they had the right target—as if the sensation in his mind wasn’t confirmation enough. She was a flaring beacon now that he’d been able to finally get close enough. To her credit, the woman kept herself composed, sitting stock-still with her arms folded and staring straight ahead. “Excuse me?” she said, sounding incongruously pleasant. She was petite and dressed conservatively but quite fash­ionably for church. Danny knew she could afford it. Julia stood up and made to leave, but Danny glanced over and saw that Frank had taken a seat at the end of the pew and was looking hard at the woman. On the other side, Cal had just taken his place, effectively blocking her in. And with that, she fell straight through the floor. Danny punched his radio key four times, then bent over to quickly pick up all her clothes. “I hate it when they run,” he muttered. So there you go. 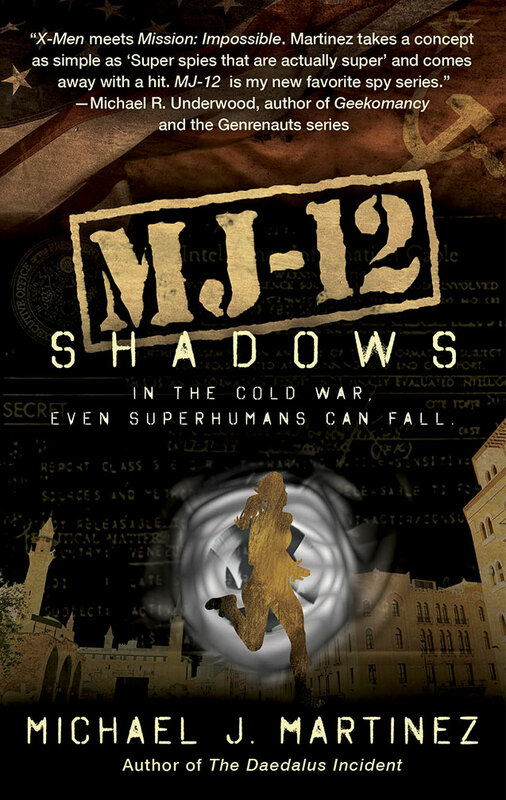 MJ-12: Shadows is out September 5, so be sure to preorder. And if you didn’t get Inception when it came out last year, it’s now in paperback so it’s super-affordable, because I like you.